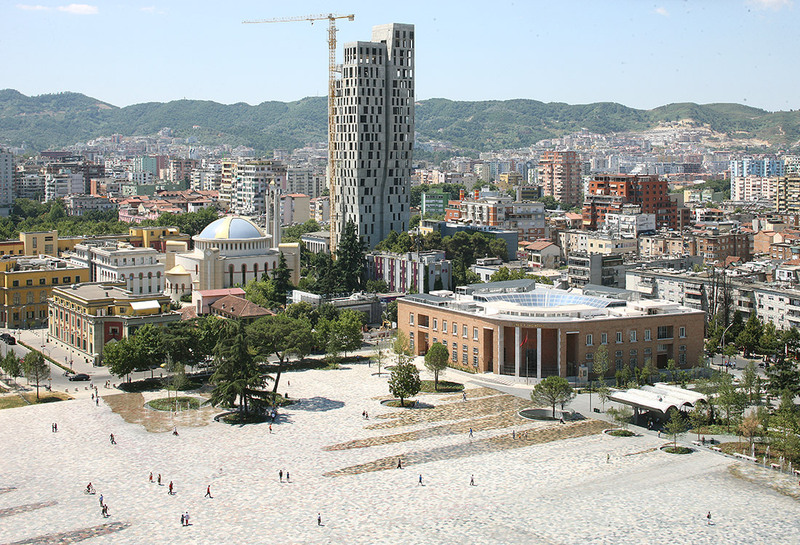 This project for the restructuring of Skanderbeg Square is the result of an international architecture competition won by 51N4E in 2008. 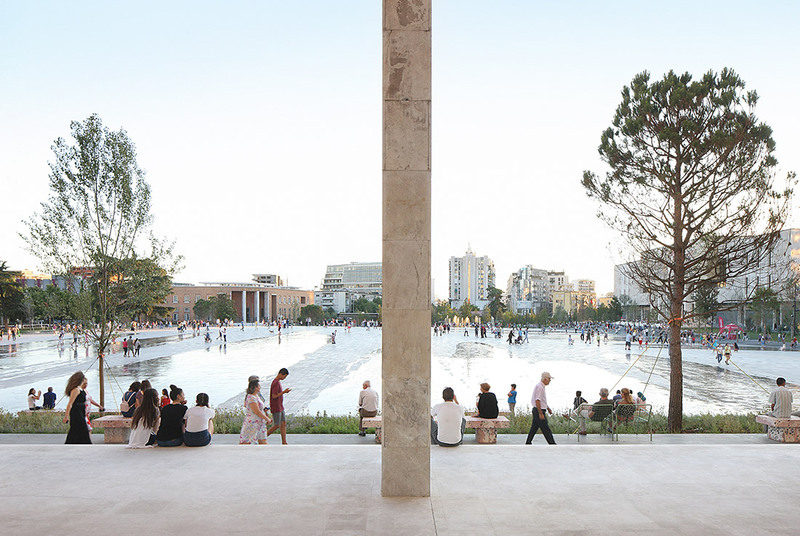 The competition’s proposal, conceived in collaboration with Albanian artist Anri Sala, reorganizes Tirana’s central square, a vast ex-communist space, in a simple yet radical way. 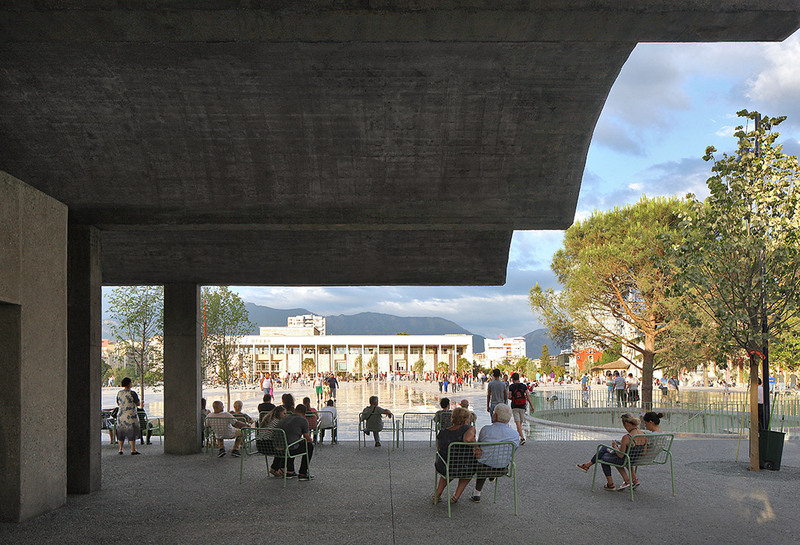 In a complex and dense urban context, on this site that is both the core of the Albanian capital city and a symbol for the whole country, the project installs a generous pedestrian area. 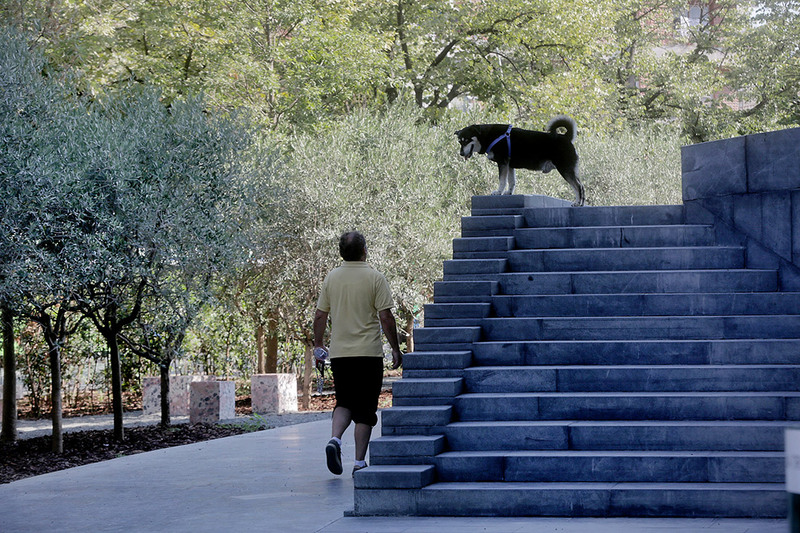 The square presents itself as a void in the chaos of the city, a flat pyramid lined by a densely planted periphery, formed by a collection of old and new public spaces and gardens. 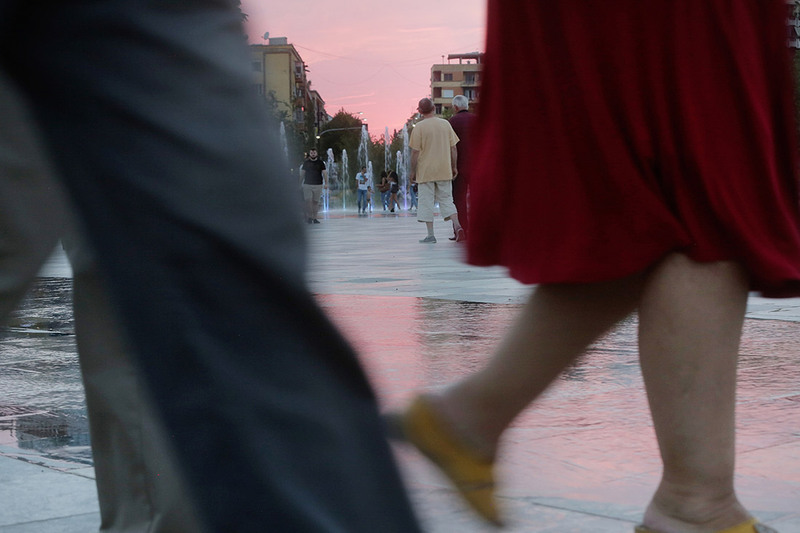 The resulting green belt acts as an antechamber negotiating the transition between the congested city and the square. 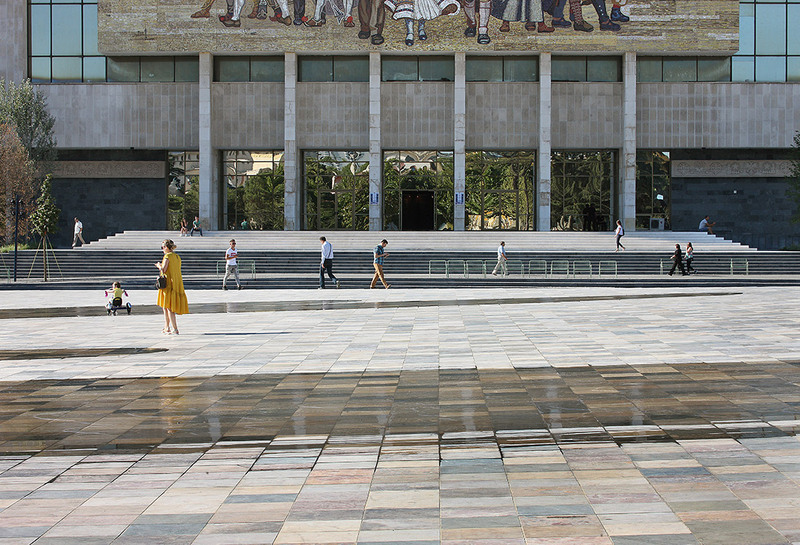 The oppressive monumentality of Communist architecture is counteracted by the ample and low pyramid making up the square: when standing at its tip, the citizens find themselves at par with the authoritarian architecture of the past. 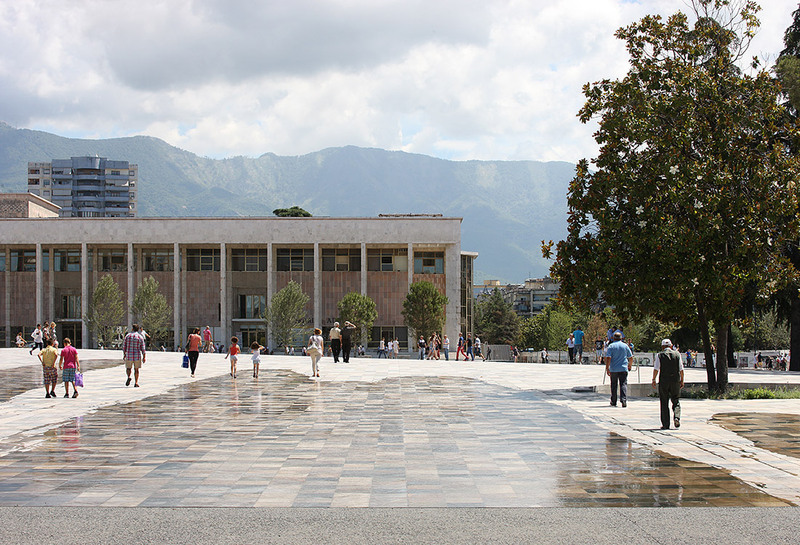 They can contemplate the buildings defining Albania’s past, suddenly opened up to new ways of reading, and embrace them as a history on which to build on. After the start of the works in 2010, and following a change in administration, the implementation of the project was abruptly halted. Yet a new election relaunched the project end of 2015. The evolution of the urban context as well as a reevaluation of the ambitions of durability offered an opportunity to refine the proposal while keeping the concept’s essence intact. The project’s landscaping was studied anew, and turned into a local ecosystem anticipating the creation of a new urban ecology for the city. Local species were chosen to increase the system’s natural resistance by reacting to ongoing climate change. 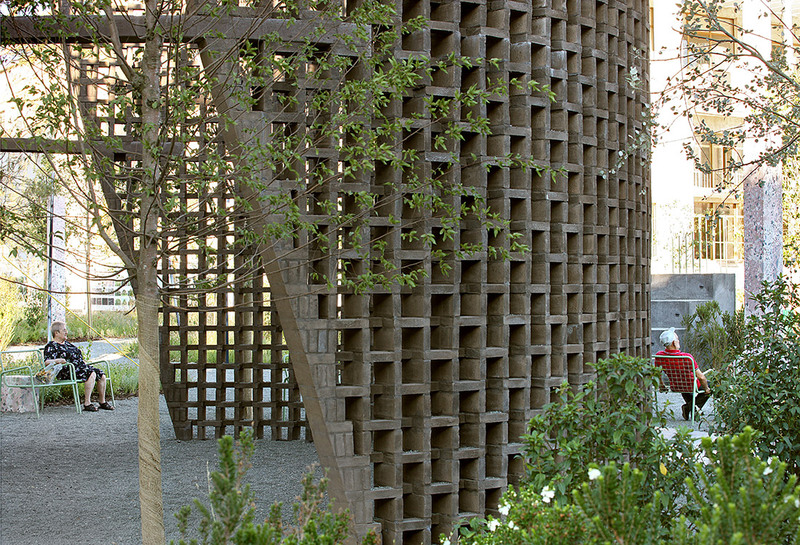 Trees, shrubs and perennials were combined to foster urban biodiversity and control the city center’s microclimate. 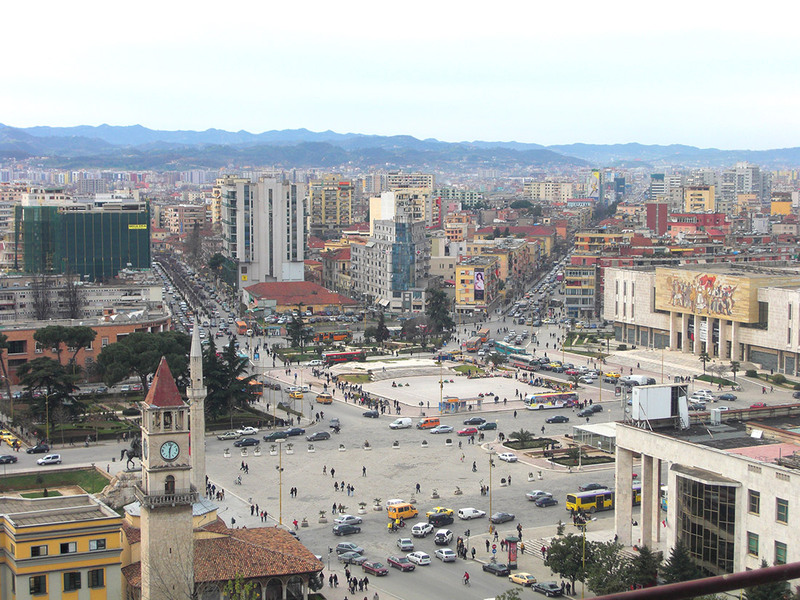 Albania’s nature’s richness in diverse species and varieties is thus valorized, allowing public space to assume bot recreational and educative functions. 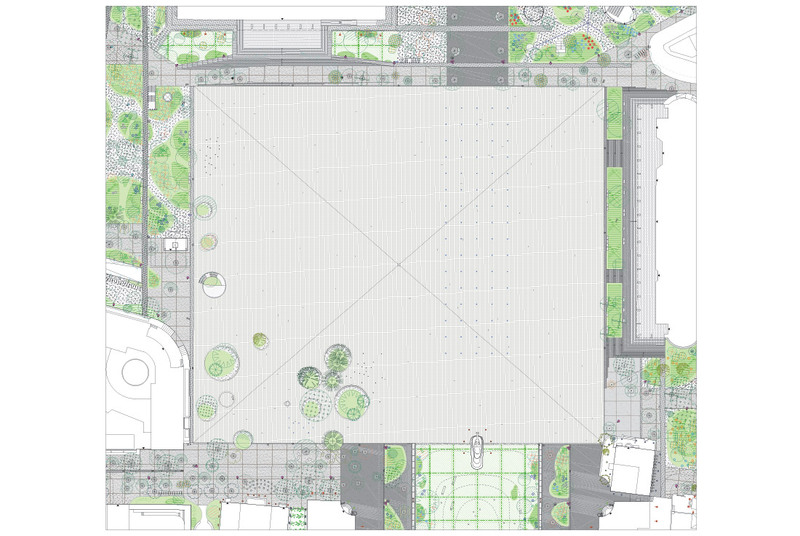 The green belt around the square is made up of 12 gardens, each of them linked to one or more of the public or private institutions lining the square. 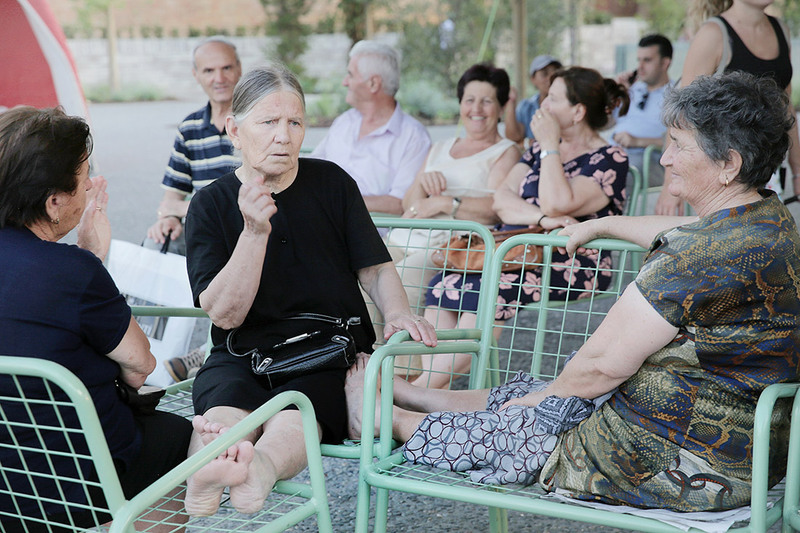 The spatial organization of theses gardens, as well as their technical aspects, were studied in dialogue with all the main actors of the project over the course of several workshops. The result is a set of contextualized interventions, inviting public and semi-public neighboring functions to spread into the exterior space. 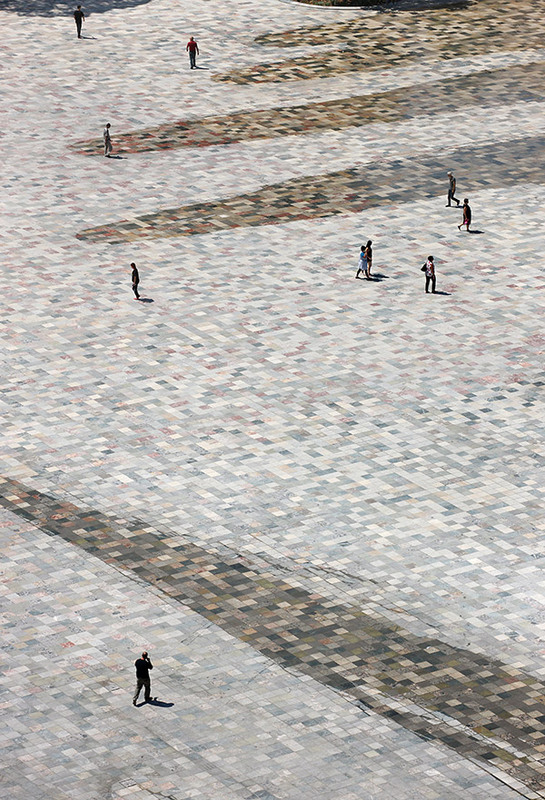 In the frame of the readjustment of the project, specific attention was given to mobility questions and investments in the immediate and broader context of the square. An underground parking garage, able to host multiple functions, was developed in collaboration with the city’s mobility services. Similarly, pedestrian and bicycle connections and links to the public transportation network were established. Finally, local materials were preferred, both for logistic and symbolic reasons, which led to the reactivation of local stone quarries and turned the project also on this level into a revelator of the richness of the Albanian context and a stimulation of its production capacity.